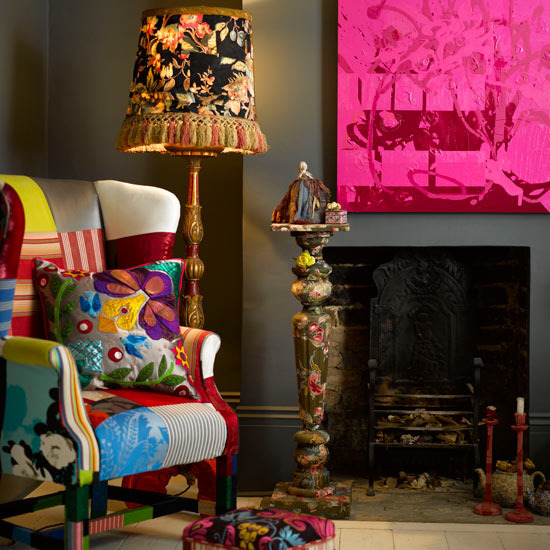 Mix and Chic: Creating visual impact using bright colors against dark walls. Creating visual impact using bright colors against dark walls. 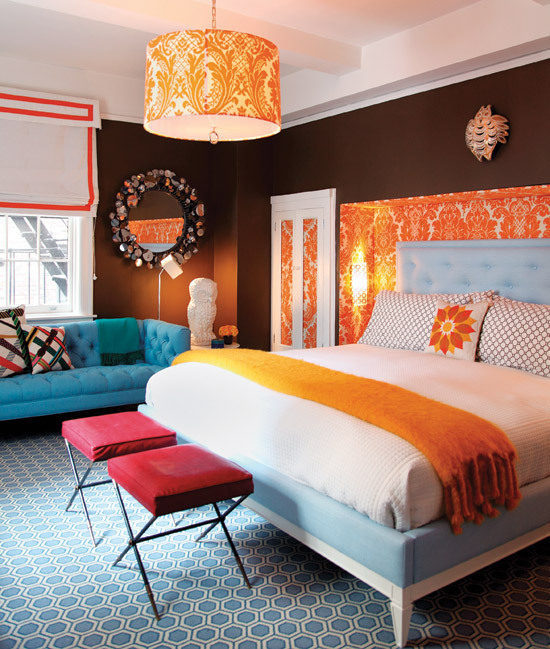 To achieve a dramatic visual impact in a bedroom, shades of blues, oranges and red along with varying patterns in a similar color scheme were used against the dark chocolate brown walls. In a room with dark black wall and floors, the use of a few pop of reds, pinks and yellows as accents throughout successfully brighten and liven up the living space. 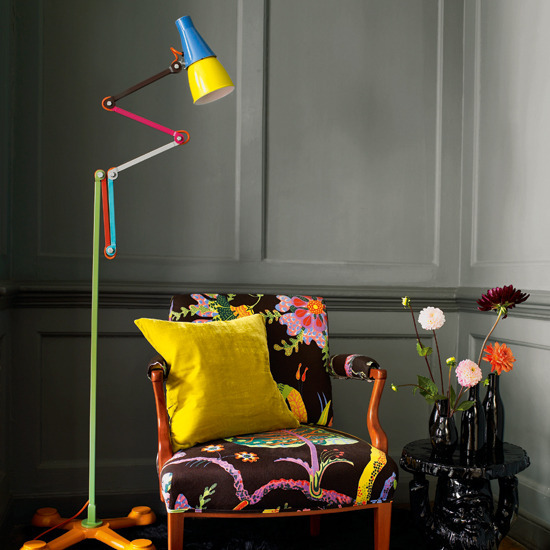 Incorporating a bright lime green decorative pillow, a colorful and modern adjustable floor lamp with a colorful floral upholstered armchair against a moody gray wall create contrast and visual interest. A textured pink artwork combined with an interesting colorful patchwork fabric upholstered wingback chair and a colorful decorative pillow plays off a beautiful contrast against the dark gray walls. Jessie, I'm an interior designer from Minneapolis, MN. Very intrigued by the colorful floor lamp in your post and wondering if you would share the source (if it's one of your projects). Thank you, Rena. Rena, thanks for stopping by. Nope, it is not one of my projects. I got this image online some time ago but didn't have the source. No problem. Thank you for your response!